Motorized lift chairs look just like regular La-Z-Boy; but they can be the ultimate solution to preventing back strains and injuries, especially for people who already have back and hip concerns. 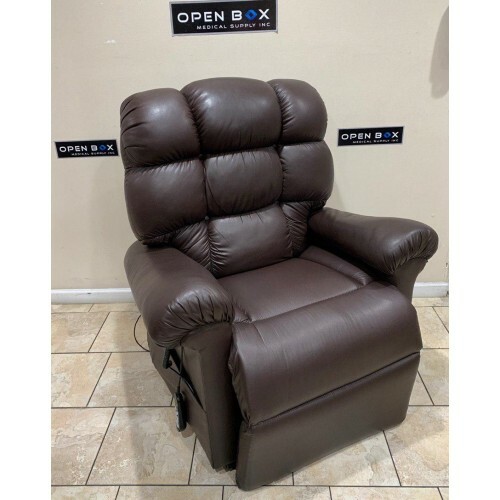 Open Box Medical has a wide variety of affordable used life chairs for sale. Our knowledgeable staff can help you decide which powered lift chair is best for you. 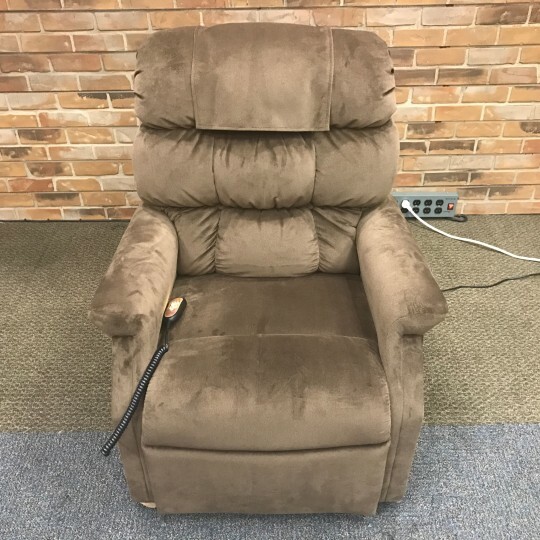 Pre-Owned Golden Technologies Monarch 3-Position Lift Chair in Great condition. This Lift Chair is an excellent option for users who are looking for an affordable, luxury lift chair that will provide optimum comfort. This is Pre-Owned Golden Tech Cloud Infinite Position Lift Chair in Like New condition. The Golden Tech Cloud lift chair features Golden's unique Zero Gravity positioning and is an extremely comfortable chair. This position is great for anyone with lower back pain and circulatory issues. This unit comes in Brisa fabric. 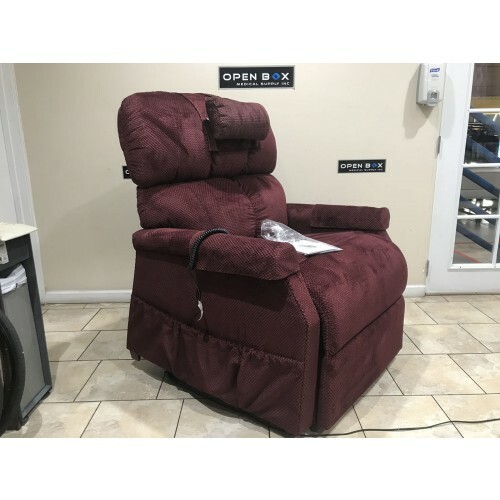 Open Box Cambridge 3-Position Lift Chair from Golden Technologies in Brand New Condition. This 3-Position Lift Chair features a plush "biscuit back" design which provides the user with extended comfort while resting or sleeping. 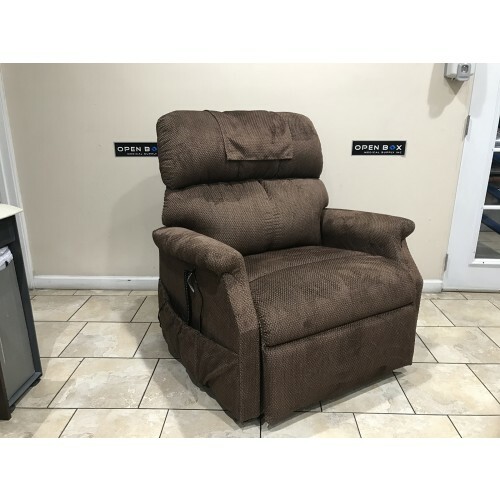 This smooth & quiet lift chair comes with easy to use controls and a weight capacity of 375 lbs. 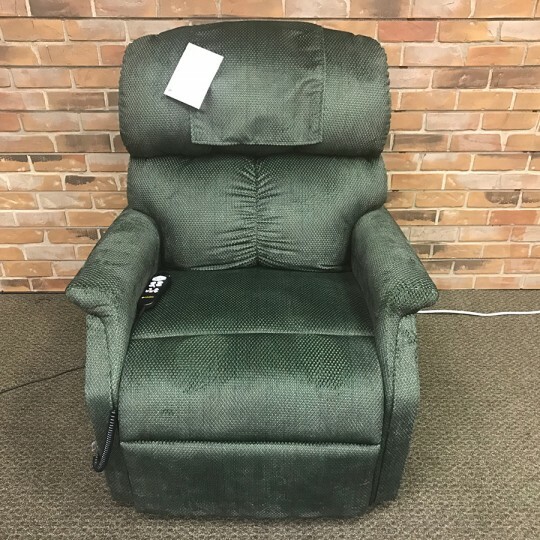 This Never-Used Golden Comforter Medium Extra-Wide Lift Chair came from our Showroom Display floor, and is in New condition. Comes with Full manufacturer Warranty since this lift chair has never been owned. Excellent choice for a user who wants a wide 27.5" seat for more comfort, or requires more powerful motors that can support up to 500 lbs. 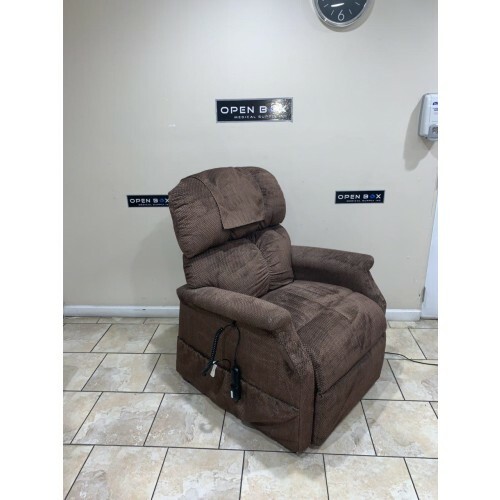 Open Box Comforter PR-505 Zero Gravity Lift Chair from Golden Technologies in Brand-New Condition. This Comforter Lift chair is capable of achieving the Trendelenburg position, which helps to increase blood flow. 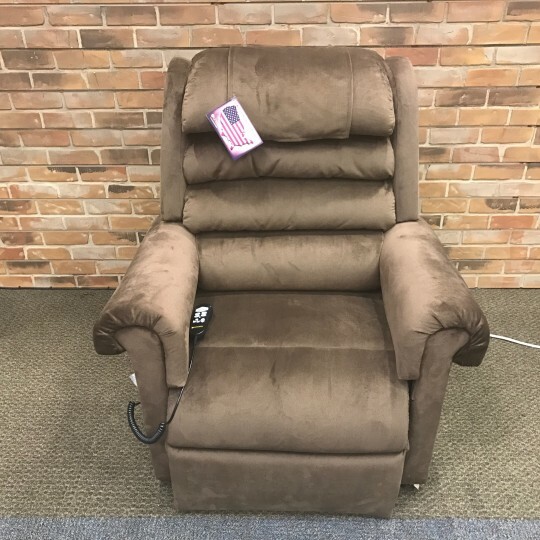 This Brand New Lift Chair also comes with a remote that has pre-programmed & customizable positions you can save for later. This pre-owned Golden Tech Comforter PR-501 Heavy Duty Lift Chair is in excellent condition. Manufactured in late 2016. This lift chair has a very accommodating 29.5" Wide seat, and fits comfortably for user heights up to 6' 8". 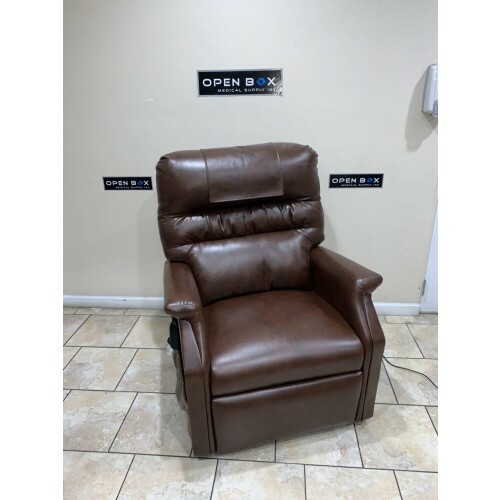 Open Box Cloud PR-510 Zero Gravity Lift Chair from Golden Technologies in Brand-New Condition. 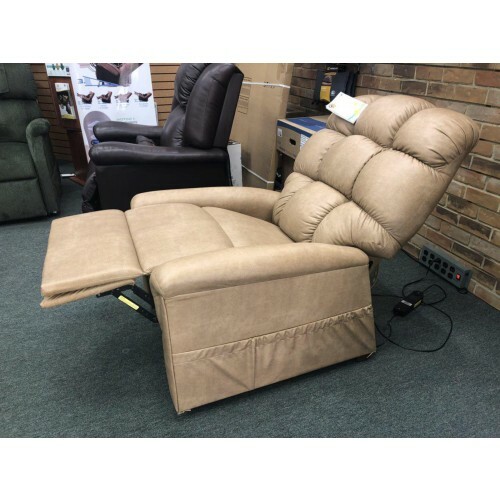 This MaxiComfort Lift Chair features an oversized & overstuffed back to provide maximum relaxation. This Zero Gravity Lift Chair is also capable of reaching the Trendelenburg Position for increased circulation. This Lift Chair comes with a pre-programmed hand-control that also has customizable positions that you can save for later. 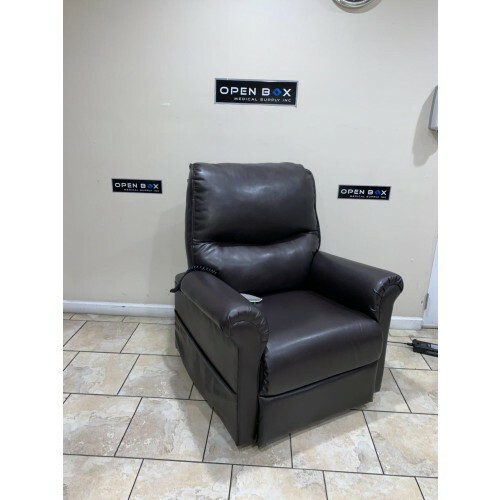 Open Box Relaxer PR-756 Zero Gravity Lift Chair in Brand-New Condition. This MaxiComfort Lift Chair provides the user with exceptional Lumbar support, and is able to recline to a Trendelenburg Position for increased blood flow. This Brand New Lift Chair comes with a hand-control that has pre-programmed & customizable positions. 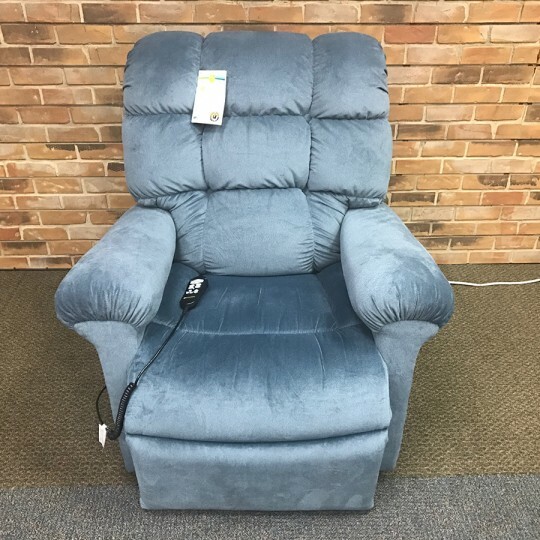 This lift chair is a Brand New Demo unit with full warranties and upgraded fabric. With a 325lb weight capacity, this unit is perfect for anyone people of all sizes. 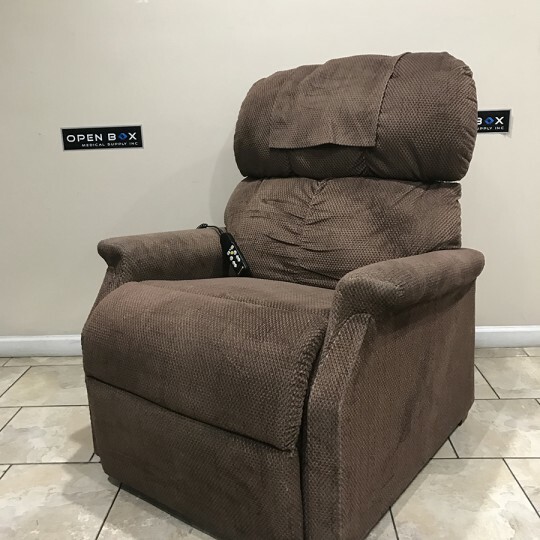 Pre-Owned Maxicomfort Large Zero Gravity Lift Chair in Great working condition. This Lift Chair is an excellent option for a user who requires a comfortable lift chair with a full zero-gravity range of motion that is capable of achieving the Trendelenburg Position. 2 Position Lift Chairs - reclines to a 45° angle and upright. 3 Position Lift Chairs – reclines to a napping position, in which the chair reclines to an almost flat position, but the head of the chair is slightly elevated. The slight elevation will help prevent aspiration and promote better breathing ability, especially for people who are short of breath. Infinite Position Lift Chairs – fully reclines to a laying down position. 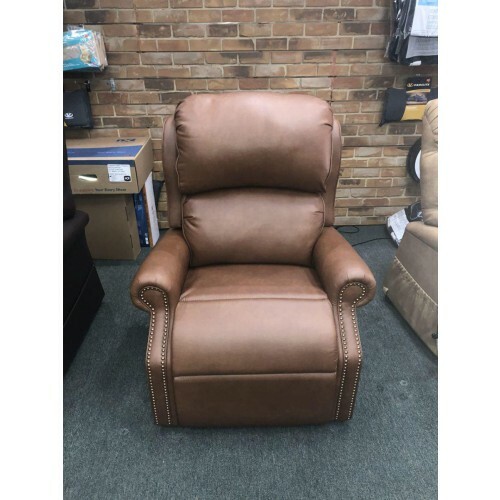 This type of lift chair is ideal because not only does the back recline all the way back, it also has an “Ottoman” style footrest that moves independently from the backrest. Because the Infinite position lift chair has two motors, the number of positions are endless! Zero Gravity Lift Chairs – fully reclines to a laying down position; however the footrest has the ability to elevate above the head and chest, improving blood flow and circulation. This position is excellent for those who have heart failure or circulatory issues. The Golden MaxiComfort lift chair is one of our most popular lift chairs for sale. Heavy Duty Lift Chairs – designed with people who are taller than average in mind, the Heavy Duty lift chairs have a weight capacity range from 350 to 700 lbs. Our used lift chairs are in excellent condition. With maximum comfort and safety in mind, we will help you pick the right used lift chair for your needs.